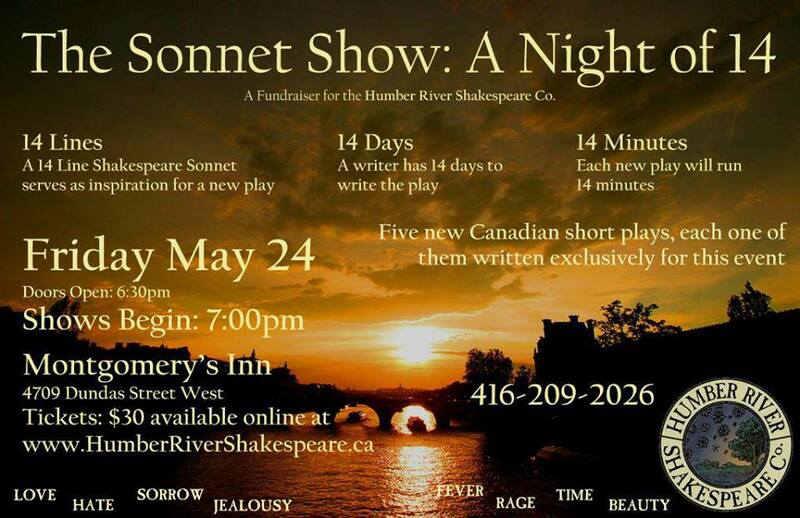 Johanna was commissioned by the Humber River Shakespeare Co, for their annual Sonnet Show at Montgomery’s Inn. Five playwrights were given fourteen days to compose a fourteen minute play based on one of the Shakespeare’s sonnets. Each play would be performed consecutively in front of a sold out audience. Johanna is based on Sonnet 73. It debuted May 24th, 2013. Starring Jeremy Ferdman, Chris Kelk, Andrea Wasserman, and Eva Barrie. Johanna was published later in the year in IOWI‘s anthology The Courtney Park Connection edited by Brandon Pitts.